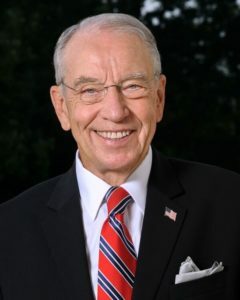 Iowa Senator Chuck Grassley expects a swift confirmation process for President Trump’s nominee for U.S. Attorney General. Whitaker is an Ankeny native who played football at the University of Iowa under Coach Hayden Fry. He was the U.S. Attorney for the Southern District of Iowa for more than five years before heading to Washington.